In the 1999, under the leadership of Judge Louis J. Presenza, the Pennsylvania Association of Drug Court Professionals was formed. 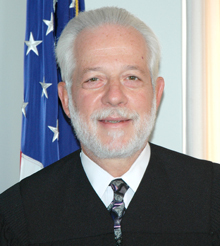 Judge Presenza had implemented the first Adult Drug Court in Pennsylvania just two years earlier, in Philadelphia’s Municipal Court, and during that two year period, eight more drug court programs had sprung up. If the movement was going to gain momentum in Pennsylvania, Judge Presenza recognized the need to create an affordable forum in which drug court teams from around the Commonwealth could meet, interact and exchange ideas. Working with a small group of volunteers, by-laws were formed, a board was elected and the Pennsylvania Association of Drug Court Professionals was born. This was just the beginning of the story of a man who decided to spend the last decade of his career trying to make a difference – and he did. During those ten years, the number of drug courts in Pennsylvania continued to grow and the drug court model was adapted to address a myriad of behavioral problems. All along the way, courts would turn to Judge Presenza for advice and guidance. In recognition of Judge Presenza’s commitment to the field of drug courts, to the citizens of Pennsylvania, and to his colleagues, the Pennsylvania Association of Drug Court Professionals’ Distinguished Service Award was established in his name. The Louis J. Presenza Distinguished Service Award is recognition by one’s peers of dedication and commitment to the field of problem solving courts. This unique award is intended to recognize an individual who has shown extraordinary leadership and support of those in the problem solving court field in Pennsylvania. Each year, during the annual conference of PADCP, one outstanding member of our community will be honored with this award. Any individual member of PADCP, retired or active in the field, who has helped propel Pennsylvania’s problem solving court movement in some notable way is eligible. Nominations will be accepted from PADCP members through September 30 of each year. Signed nomination forms should be submitted to the Chair of the Steering Committee. Nominations will not be considered for individuals who are currently serving on the Board of PADCP or on the Award Steering Committee. Each PADCP member can only submit one nomination during each nominating period. Nominees must have at least three years in the problem solving court field in order to be considered. All nominees must be members of PADCP. A committee of volunteers consisting of a judge, a prosecuting attorney, a defense attorney, a program coordinator, a treatment provider, a probation officer, and one at-large member will be appointed by the board to serve for two years as members of the steering committee for the Louis J. Presenza Distinguished Service Award. A proposal for staggering membership will be developed by the first group of committee members. The committee will present two recommendations, along with justification for those recommendations, to the Board of PADCP no later than mid-August of each year and the Board will make the final selection of the award recipient. The name of the winner of the award will be kept confidential until the award is formally presented. Every effort will be made to present the award, which will be a plaque engraved with the name of the recipient and year of the award, during the annual conference of PADCP. The presentation will be made by the President of PADCP, along with the Chair of the steering committee for the Louis J. Presenza Distinguished Service Award. An 8×10 photograph of each year’s recipient will be exhibited at all PADCP conferences from that year forward.